CDC requires isolating and containing airborne dust and pathogens during any type of maintenance of the facility. It includes cutting into walls, floor, removing ceiling tiles and even replacing fluorescent light tubes. The OmniAire HEPA air filtration machines are your best tools for effective Infection Control during renovation and maintenance projects. Our HEPA air scrubbers and negative air machines are used on thousands of such projects every year by maintenance department and contractors. The positive pressure required at a clean room work area is usually at 0.010” to 0.020″WC which is very hard to measure with any accuracy. 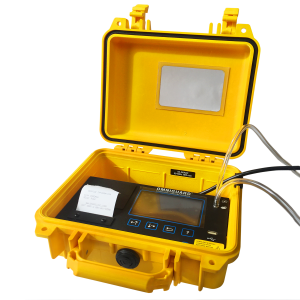 The Omniguard 5 pressure recorder provides an accurate monitoring and alarming functions. This pressure monitor is easy to setup with a simple push-button calibration and a tubing connection. Achieving the best results with our equipment in specific industries often includes understanding the features of our machines and/or the accessories that will best assist you in your job. Here we provide a few observations and elaborations that may help you in your research. Many activities during construction, renovation and demolition projects release large amounts of dust which could be threatening to workers health and impact the successful completion of the project. OmniAire air filtration machines can be equipped with HEPA filters or with bag filters to remove construction dust from the air at work place. The Bag Filter with a housing adapter can be quickly installed in place of HEPA filter, creating a portable dust collection system. Our bag filters with MERV14 efficiency, are very economical filters for collecting and holding large amounts of dust and debris which would quickly clog an expensive HEPA filter. 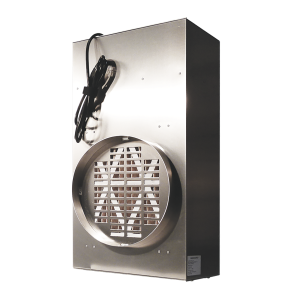 Flexible hoses can be attached to the OmniAire dust collector to collect dust from the point of creation and discharge clean air to any area needed. Improving the air quality in the workplace may increase employee productivity and decrease allergic reactions to airborne pollutants. OmniAire Air Filtration Systems are used as air scrubbers to purify air or negative air machines on all types of demolition, construction and renovation projects. The OmniAire air filtration machines are available with airflows from 50 to 18000 CFM and are equipped with 99.97% HEPA filter. 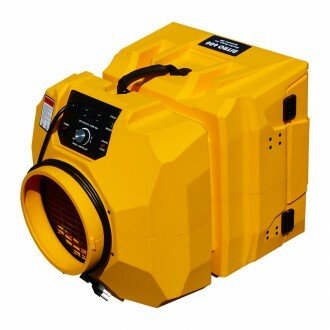 For a control of construction dust, some larger machines are available with MERV14 bag filters in place of HEPA.. OmniAire machines have a reputation for quality construction, reliable service and are often used on projects where DOP efficiency or equivalent tests are required before the equipment is used on the project. OmniAire HEPA negative air machines are sold throughout the U.S., Canada and are exported worldwide. To assure our product electrical safety, machines are tested by TUV Laboratories to comply with UL and CSA/IEC safety requirements. UV Germicidal Light Modules – control of bio-contamination and odors. As projects vary in size, accessibility and types of contaminants, the size of the equipment has to be considered. OmniAire HEPA negative air machines prove airflows from 50 to 18000 CFM, come in many sizes and configurations. To accommodate the variations of the required air flow, our variable speed controller is standard on most of our equipment. If our specification sheets do not match your requirements, please contact us. We have a number of custom accessories such as higher efficiency filters, audible alarms, hour meters and other safety items. Most of our machines are also available with 230V 50/60Hz motors. In general, these names are just a marketing terminology. When Air Filtration Machine is used to create negative pressure in containment, it is often called Neg Air machine. When used for recirculation and purification of air in open area, it could be called Air Scrubber or Air Filtration Machine. OmniAire machines are built to provide a high quality service in any environment and application. Your specific requirements regarding airflow, type of project, accessibility are the important factors in choosing right equipment for you. See our Comparison of OmniAire HEPA Air filtration machines. For the safety of the users and the acceptance of the equipment on governmental, hospital and many other projects, equipment has to meet the requirements of the applicable electrical codes. To verify the UL & CSA/IEC safety compliance and listing, each machine has an identification label with name of NRTL which performed the test and the manufacturer file number. Why is Negative Pressure Containment Used? Use of negative pressure containment with HEPA air filtration prevents spread of asbestos fibers, mold and other contaminates to the outside of contained work area, All exhausted air is purified by HEPA negative air machine to create negative pressure and required air changes (ACH) inside the contained work area. In order to create a negative pressure environment more air must be exhausted from the space then leaking in. . See our Air Flow Calculator to assist you with your airflow requirements. How much airflow do I need? Our Air Flow Calculator will provide a quick answer on required cfm and type of machines. Just enter the size of your work area and the number of air changes per hour (ACH). Six or more ACH are recommended for construction and renovation projects. How often we need to be changing primary/secondary and HEPA filters? Dustlock primary/secondary filter should be replaced when its orange, downstream side shows signs of discoloring by dust. Our dual density poly media captures particulates in full depth of the filter media rather than on the surface, as pleated filters do. The m edia is treated with tactifier to prevent release of captured dust and antimicrobial additive to prevent growth of virus and bacteria. Frequent replacement will help to maintain high airflow and protect the more expensive HEPA filter. The HEPA filters should be replaced when the airflow decreases below your requirements or when pressure (“WC) across the filter increases to recommended replacement pressure – See User Manual. Some of our OmniAire air filtration machines are equipped with a simple Filter Change light to indicate that filters should be checked or replaced. HEPA filters become even more efficient when loaded with particulate matter, but the airflow resistance increases and the airflow could be reduced to zero. Average HEPA filter life is 800 t0 1000 operation hours. When to use Bag filters instead of HEPA filters? Our large OmniAire air filtration machines can be equipped with HEPA filters or with bag filter to remove construction dust from the air at work place. The Bag Filter with a housing adapter can be quickly installed in place of HEPA filter, creating a portable dust collection system. 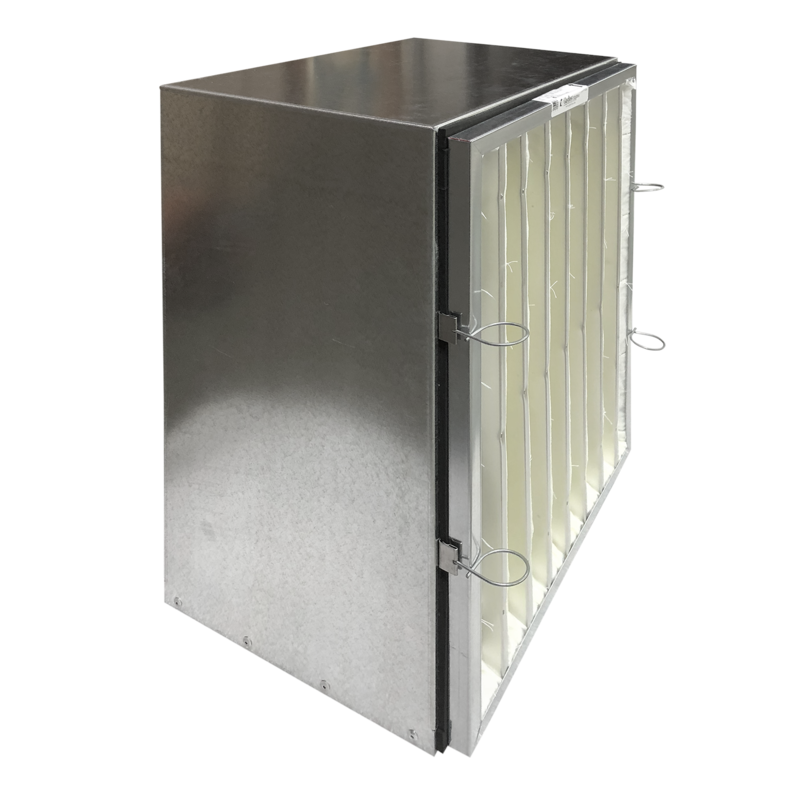 Our bag filters with MERV14 efficiency are very economical filters for collecting and holding large amounts of dust and debris which would quickly clog an expensive HEPA filter. How do I control odors and VOCs without chemicals? The odor and VOCs can be removed from air with OdorGuard600 and Vapor Trap carbon web filter added to OmniAire machine. For odors associated with water damage, sewer flood, fires and mold, use our PEROx air purifier to destroy safely the source of odor without using chemicals. 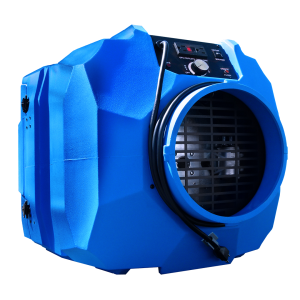 PEROx unit contains Ionized-Hydro–peroxide generator which is very effective in destroying all types of VOCs, chemical fumes, decay odors, mold spores, virus and bacteria. This purification process is safe for workers and inhabitants.